How many times has your corkscrew failed when you were trying to open a bottle of wine? It’s hard to learn how to use old-style corkscrews. And even if you do finally get the hang of it, it’s not foolproof. Corks break off, the corkscrew starts out too close to the edge of the bottle, and it’s just generally a frustrating experience. This brings me to my next holiday gift idea, one given to me by my dear friend Karen last year. Karen and I both enjoy a glass of merlot now and then. In fact, many of my close friends are fans of red, so we sometimes get together for dinner and wine parties. One night, I was hosting. Karen had brought a bottle of really nice merlot, which I started to open. Guess what. I bombed. We had to pick the cork out of our glasses. 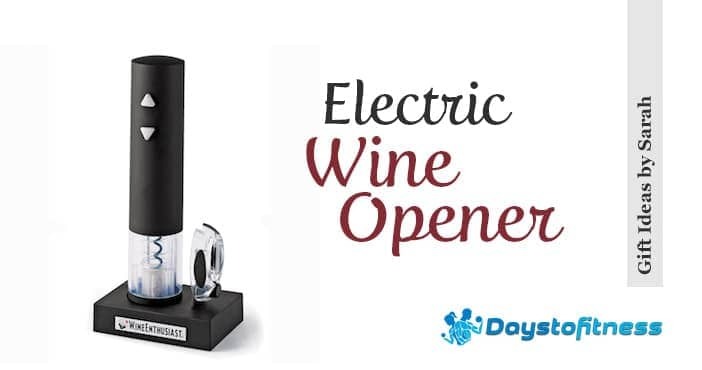 As if that weren’t embarrassing enough, Karen decided to get some extra mileage out of it by giving me an electric rechargeable wine bottle opener for Christmas last year. It’s fantastic! I can’t believe I blew this off as a passing fad when they came out several years back. So here’s the thing . . . It seems like such a frivolous item that I probably would not have bought one for myself, but this corkscrew rocks. No more fighting with wine bottles. No more broken corks. No more embarrassment (sorry, Karen). The Wine Enthusiast Electric Blue Corkscrew, available at Amazon.com, does the job cleanly every single time. It has not jammed or failed me yet. And I have used it on all kinds of bottles, as well as on natural and synthetic corks. It is easy to use. There are four parts: a cord, a charging stand, the opener, and a foil cutter. You start by slicing the foil with one twist of the foil cutter. You then hold the bottle with one hand and place the opener on the top. There are just two buttons, down and up. 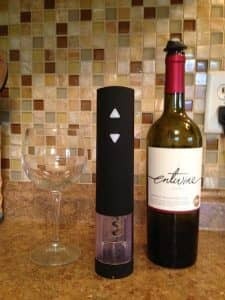 You push one button to engage the corkscrew and pull out the cork and the other to eject the cork from the opener. That’s it. 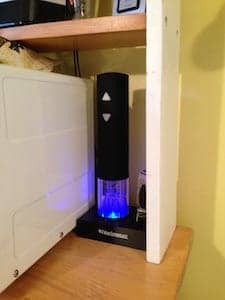 I have heard that these openers will open a couple dozen bottles on one charge, but I just let mine sit on the charging stand. It’s so pretty. It’s stainless, and a blue light shines down both when it sits on the charger and when you use it to open your vino. The light adds a nice, techno touch to my wine rack. There are many choices of gifts for wine lovers, but this is the best. I use it all the time, and I know your wine lover will have fun with it, too. I’m sure I’ll order at least one on Amazon for a gift this year! 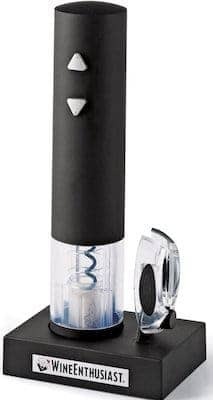 I think this Wine Enthusiast Electric Blue Corkscrew, available at Amazon.com, would be good for anyone who enjoys wine because it’s very functional and it looks cool. However, it would also be a great gift for someone with arthritis or weak hands. Happy holidays, and please share your great gift ideas! 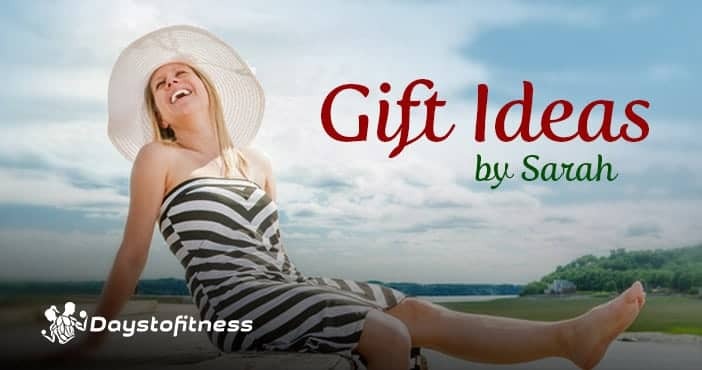 I’ll help you with more ideas to inspire and motivate you to find the perfect gift. Gifts under $20, special gifts, gifts under $40 or above $50, all gifts listed here.